Industry Square, at the junction of Beveridge Street, Melton Road and Warner Street, once contained a pond which was used by village farmers to water and wash livestock. 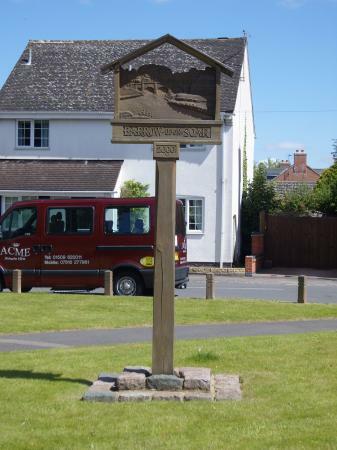 There now stands a sign with woodcarvings made by a former resident, Tom Rennocks, as part of the Millennium celebrations. One side depicts the imagined view at Industry Square when the pond was there and on the other a scene at the Soar Bridge.